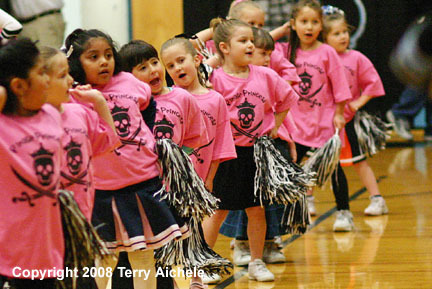 BOARDMAN - The Riverside Cheerleading squad presented a youth cheerleading performance Friday night December 12, 2008 during halftime of the Lady Pirates home game against Pilot Rock. 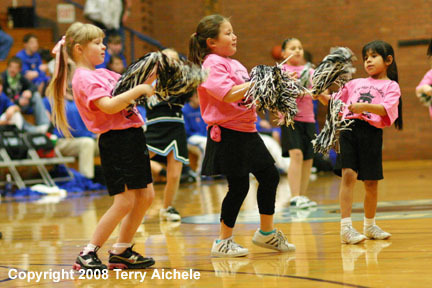 The young cheerleaders came from the local grade school. 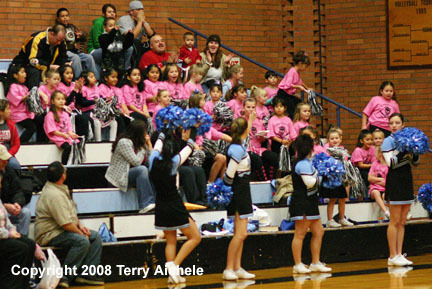 LEFT - Grade schoolers who attended the Riverside cheerleading camp almos filled an entire section of the stands. 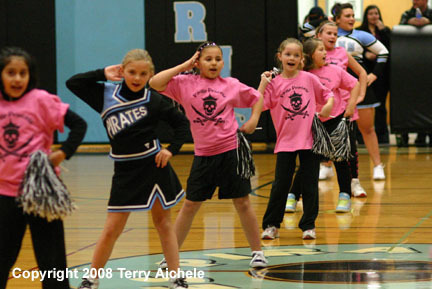 RIGHT - The Riverside cheerleader advisor and a cheerleader lead the group of grade school cheerleaders into the gym on Friday night.